When it comes to blue, I'll follow anywhere...well almost. I love blue. When I saw that Festive Friday was having a Navy, White and Silver Color Challenge, I knew I had to play along. It's been a while since I last used my Snowflake die so it was fun to pull it out and make a double layered snowflake out of blue and silver glitter paper. It's the kind of glitter paper that does not shed! It makes using your dies so much easier. For the inside of the card, I added a bit of color. 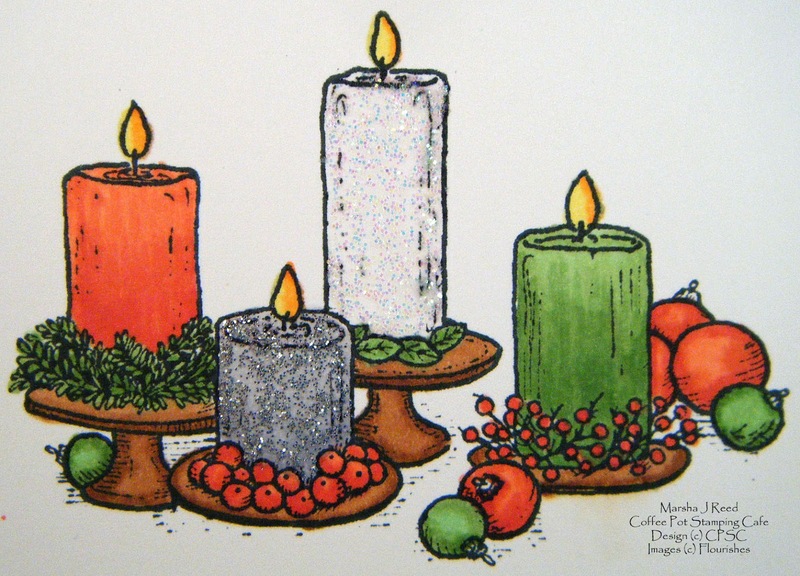 I originally planned to stamp the candles in blue and just leave them as an outline but just couldn't resist getting out those Copics. 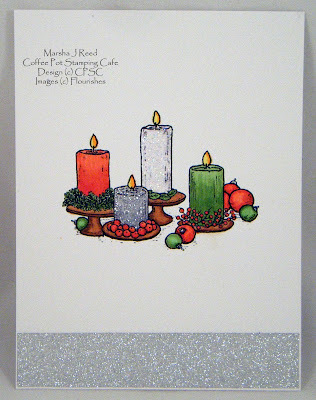 I added a strip of the silver glitter paper to the bottom of the inside layer and I added Silver Sparkle Dazzling Details and Dazzling Details to two of the candles to give them a wee bit of a sparkle. There is still plenty of room to write a little note if you choose to do so. 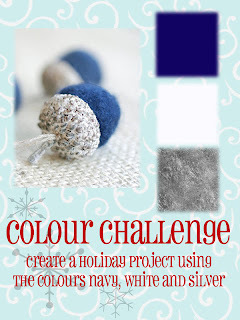 Be sure to check out the Festive Friday Color Challenge. Click on the image below and it will take you right to all the details. 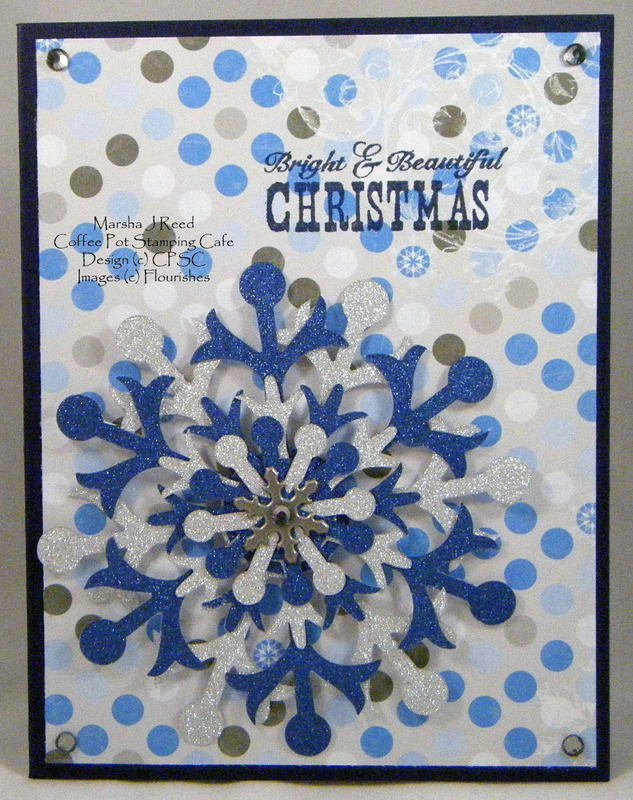 I love the colors and really enjoyed making some snowflakes. Now that the 90 and 100 degree temperatures have gone and it is only 74 degrees, it is a gentle reminder that cooler weather is fast approaching. Oh my gosh, I LOVE the snowflake!! Thank you so much for playing with us at Festive Friday! 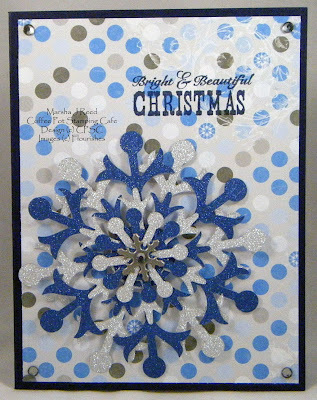 Love the layers of your beautiful snowflake and the pretty tones in your polkadots! That inside looks pretty enough to be a whole separate card! So glad you could join us for the challenge, Marsha!